It’s rather incredible to consider the first iPhone was sold in 2007, a little more than ten years ago. The work you do has probably changed quite a bit since then—where and when you read your emails, how you contact colleagues, what social media sites you browse to keep tabs on your company’s latest products and initiatives, maybe even the artificial intelligence-curated playlist you listen to as you work through a presentation or expense report. In another 10 years, the integration of artificial intelligence, virtual reality and human analytics will make your current office look as quaint and unrecognizable to you as the rotary phone that once hung from your kitchen wall. In the future, you may walk about an office full of computers, but these computers will look and feel profoundly different: VR headsets will still create immersive holographic experiences, but more people will choose chic, less isolating augmented reality glasses that layer virtual information atop the physical plane. Rooms and furnishings will feel different, more intuitive and comfortable, designed to accommodate diverse networks of writers, programmers, designers and scientists who come together to solve difficult problems. Perhaps the most noticeable change will be that the lines between technology and space will blur. Embedded with smart sensors and speech recognition software, your workplace will take care of much of the administrative day-to-day: transcribing meeting notes, scheduling conference calls, responding to routine emails and generally serving as a dutiful member of your team. Open, naturally lit spaces designed for your wellbeing will accommodate the varied work styles, privacy expectations and personality types of the teams that occupy them. Your office will feel more like a person, a colleague or life coach, who guides you toward your best self, or at least your best working self. At Steelcase, we are keenly interested in how these and other plausible scenarios will affect the future of work, workers and the workplace. 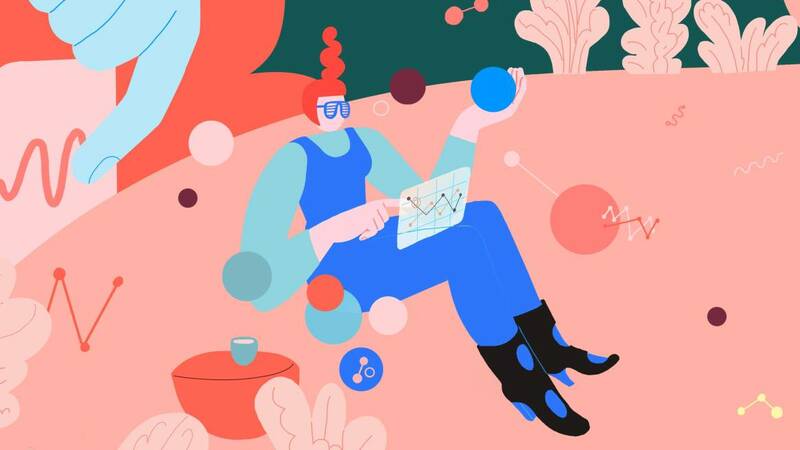 Our Foresight Practice, modeled after a design thinking process developed by the Institute for the Future, the world’s leading nonprofit strategic futures organization, carefully analyzes and forecasts how signals of change observed in the marketplace today will frame future states. These predictive scenarios inform product development and manufacturing decisions that conceptualize and create the future. We’ve developed this practice as part of our culture of design thinking: deeply understanding the lives of people at work, as we continually work to improve the employee experience. The edges of the future are visible today. We see its first blush in the growing number of workplaces providing flexible workstations—whether they are collaborative lounges, treadmills, bikes or adjustable-height sit-stand desks—to give workers a break from sitting, reduce fatigue and stiffness, and boost productivity. We recognize its beacon in a young Palo Alto analytics firm using microphones and sensors, along with email and calendar data, to track employee activity levels, time spent multitasking, and how often associates are in touch with key contacts. We smile at its gleam in the biophilic wood paneled walls and Circadian light arrays of retail stores—the bicycle stalls and changing stations that have become standard features of modern offices. These examples represent a small fraction of the ways today’s companies are adapting spaces to align with human needs and the constantly changing workplace demands. Tomorrow, organizations will be able to manage buildings, desks and computers as never before, supporting employees by giving them greater control over their environments. The data and AI brokered to orchestrate these changes will teach machines to anticipate and predict desired future states—to go beyond sensing and responsiveness to speak to us intimately, assist with our projects and tasks, and improve our workplace performance, productivity and wellbeing. In the future, all companies will be tech companies, and your office will look astoundingly different. We invite you to look at what lies ahead.